Do you need a Bridgewater NJ garage door repair service company ? Tri State Garage Door Services is a full garage door repair and installations company. We repair and replace garage door spring, opener's, cables, pulley's, tracks and much more. Garage Door Opener Replacement Or Repair ? Tri States garage door mechanics are fully trained to diagnose all related door opener issues. Most of the time the garage door opener can be repaired. Although at times replacement may be required if the garage door unit is very old. 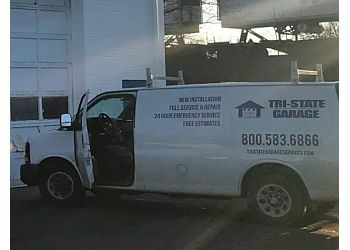 Call Tri State today for same day Bridgewater NJ garage door repair.